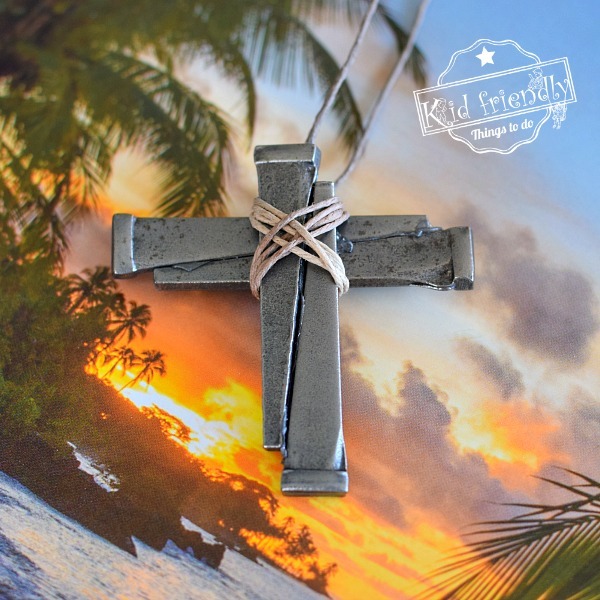 This beautiful Cross Necklace Made out of Nails has always been a popular Religious Easter Craft for kids and adults. 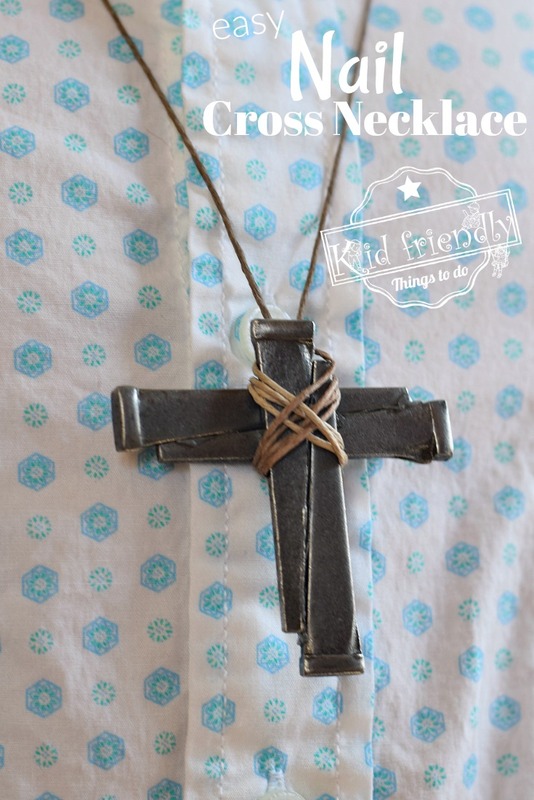 It’s a nice rustic looking necklace that would be a great fit for Men, Women, Teens, and Kids. 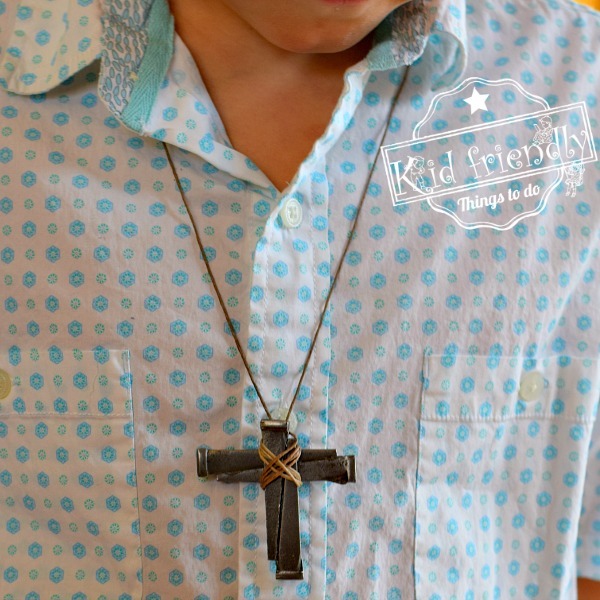 I think this is such a cool idea for making cross necklaces, key chains or a Sunday School craft for Easter. Years ago, my son’s Sunday School Teacher made this with his class for an Easter Craft. I absolutely fell in love with the idea, and I knew you all would too. 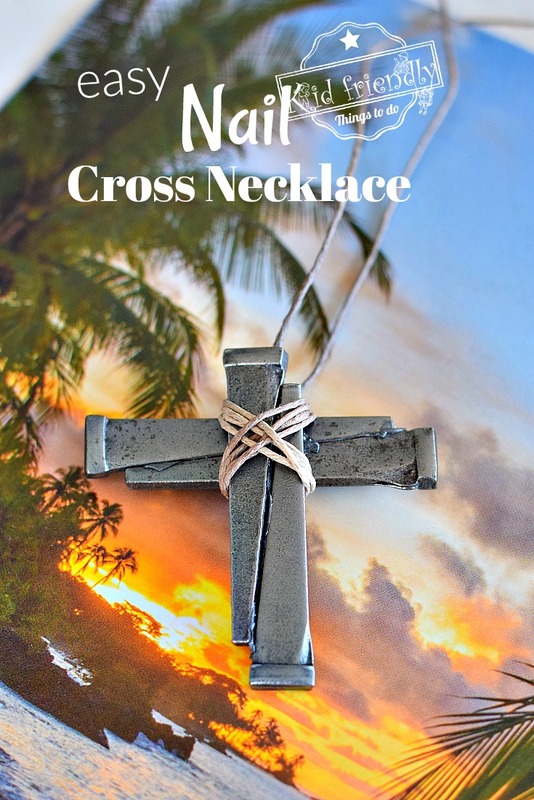 I love the rustic appeal to the necklace. 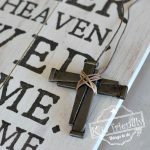 I really love the fact that the Cross Necklace is made from Nails. 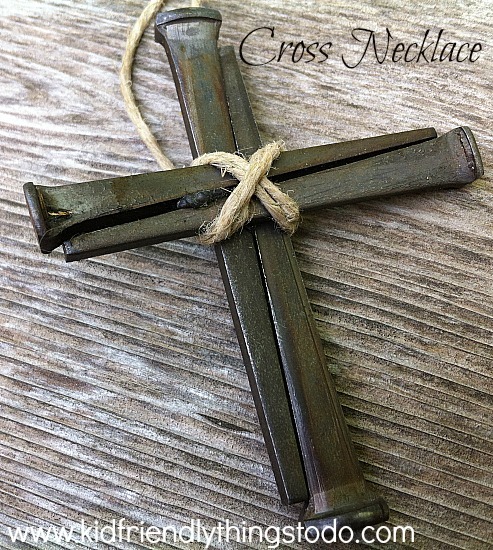 For those of us that celebrate the resurrection of Christ, using nails for the cross necklace carries meaning behind it. When I first posted this craft, I hadn’t actually made the craft myself. I just went by the example I had to explain the process. This time, I went out an purchased supplies to make it for a more specific tutorial for you. This is the original craft. I couldn’t find the exact nails like the ones in this picture this time, but I like the substitute nails that were at my local hardware store just fine. 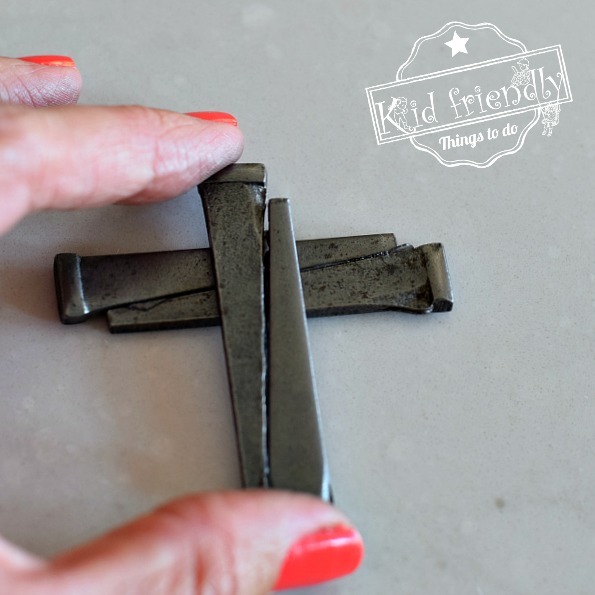 I am looking for nails like this to make necklaces at vbs. 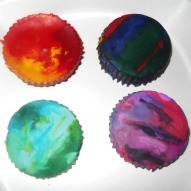 I have made them a few years ago and I would love to make them again. If you could tell me where you found these nails I would so appreciate it. Hi Angela. It’s been a while, but I believe I found some at a local hardware store – Menards. Home Depot, or Lowes would be good options, too. 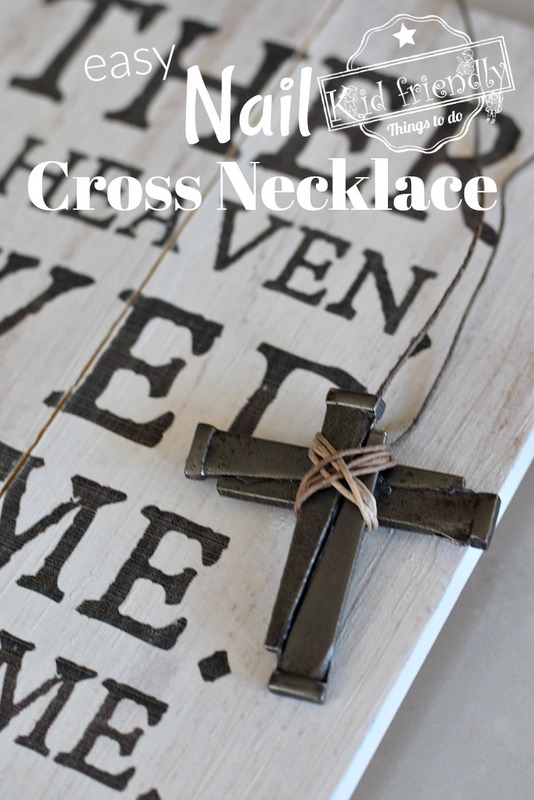 I wish I could find the necklace to go compare at the store and give you a more specific answer on the type and length that was used. I hopped on Amazon real quick and included some links to Amazon above for you. I like the rusty looking masonry cut nails, too. 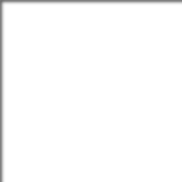 The metal looking ones are referred to as cut nails or steel cut nails. I hope this helps. Are these 2 inch nails or 1 1/2? I can’t say from experience. This was actually a craft that my son’s Sunday School Teacher did with him. 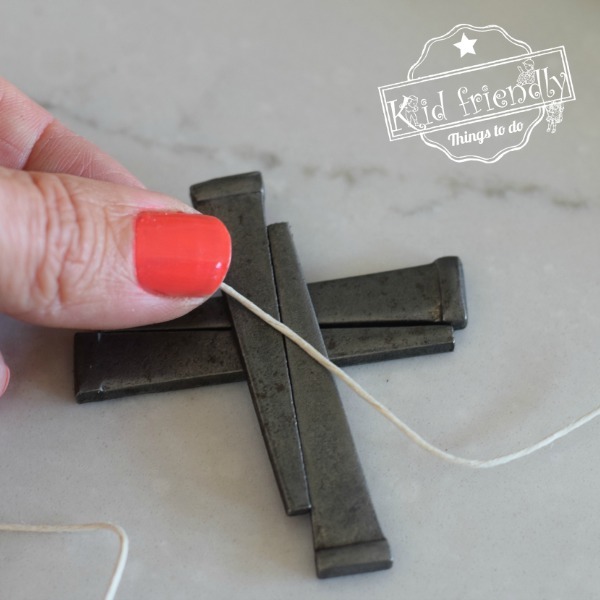 I loved it so much, I shared it on the blog. I have had plenty of experience with glue dots. The bigger you go, the sticker they get. 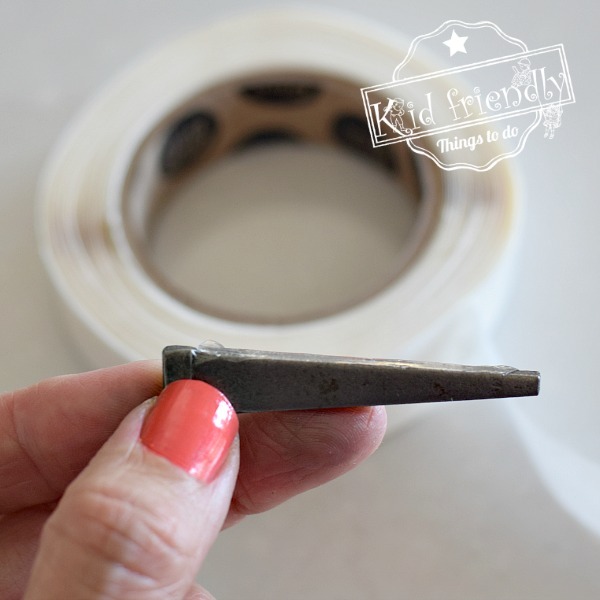 The nails will need plenty of adhesive to keep their bond. I would use large. They have the best hold. 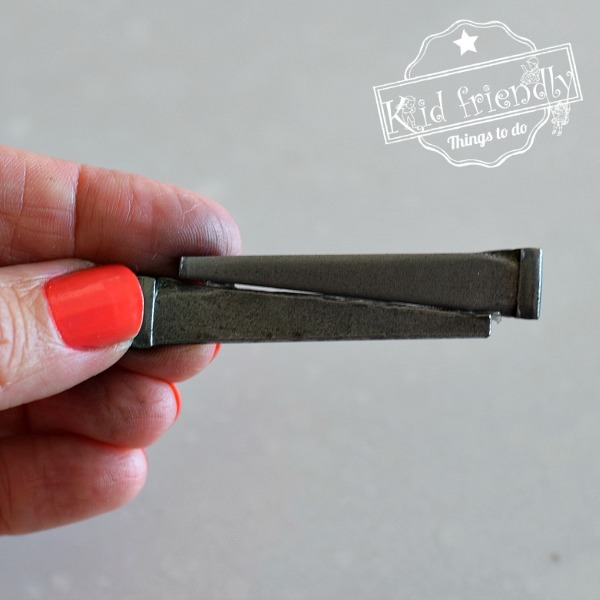 If they are too bulky for the nails, you can always trim them with scissors by cutting them in half. I hope this helps. It is a beautiful craft. Do the glue dots continue to let the nails move, or do they eventually hold tight? Ask for cut masonry nails. they have them in 2″ size.